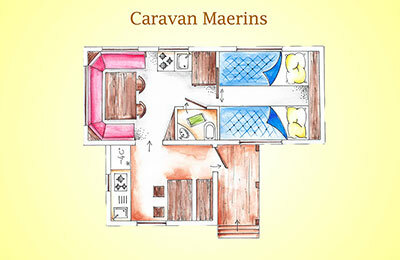 The camping park has caravan accommodation for two to four people, suitable for all seasons, with or without WC. 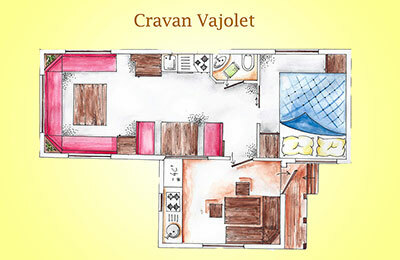 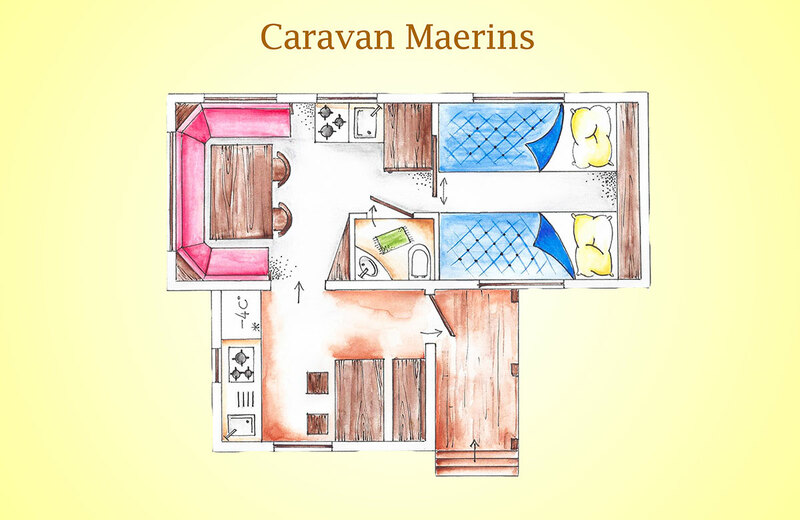 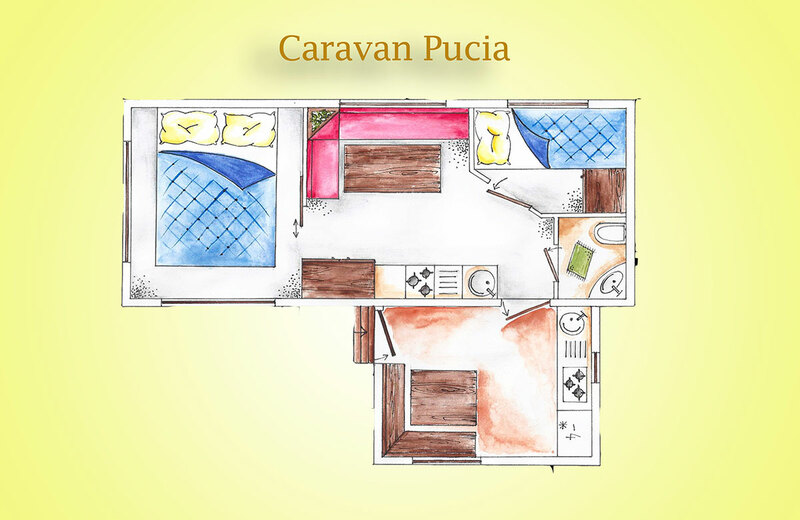 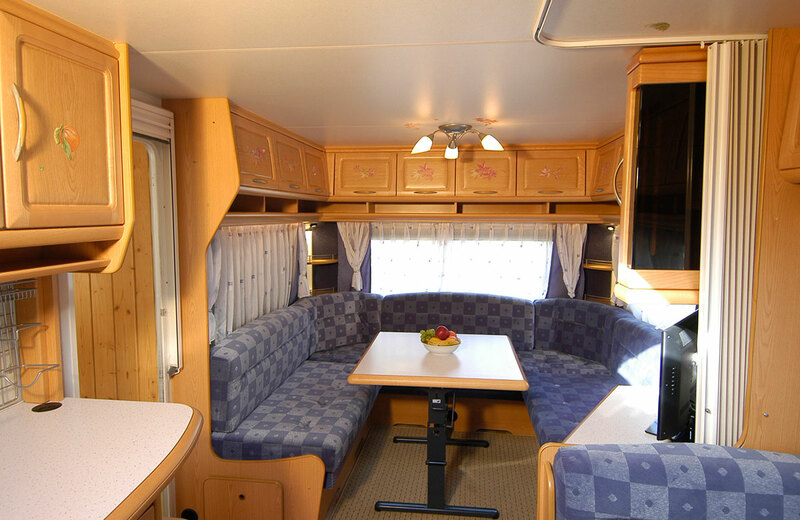 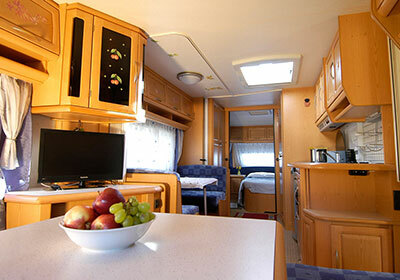 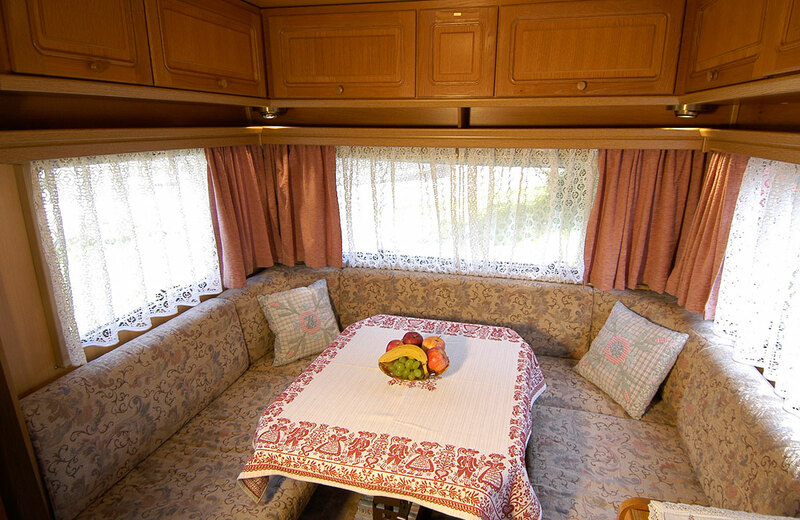 In all caravans, guests find pots, cutlery, a fridge, a gas stove, a sink, pillows and blankets. 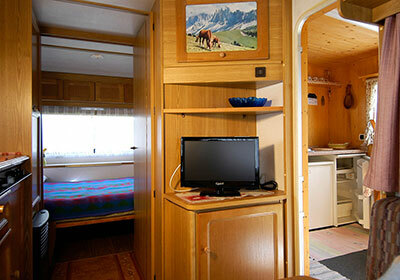 Each caravan has an external wooden part in Tyrol style. 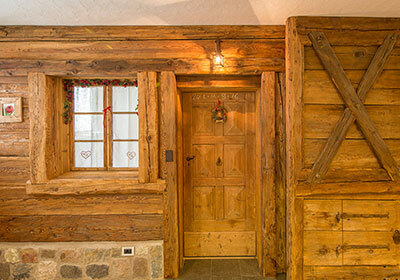 Thanks to this external wooden part, guests can increase the available room. 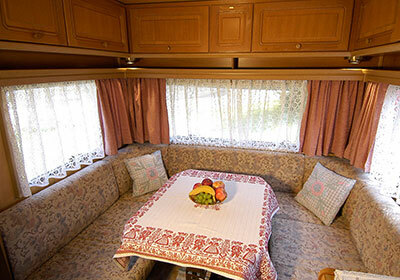 In summer, guests find a parasol, deckchairs, chairs and a table for them to use. 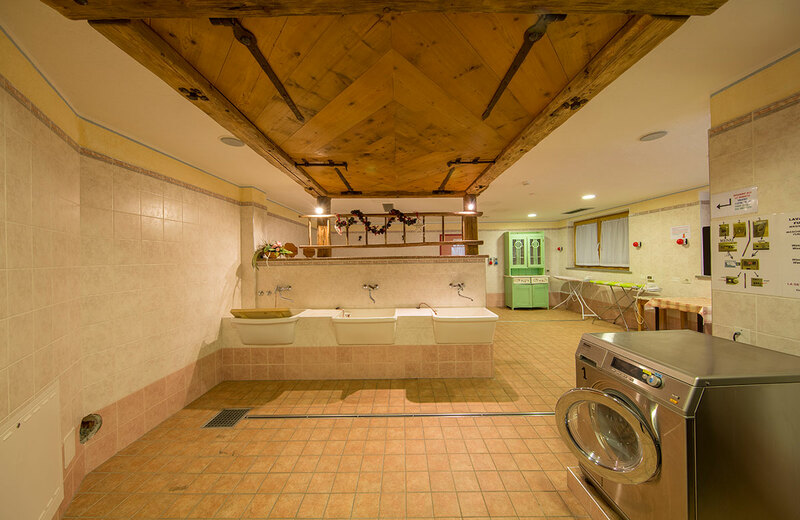 Showers for caravans are in the communal bathrooms of the camping park. 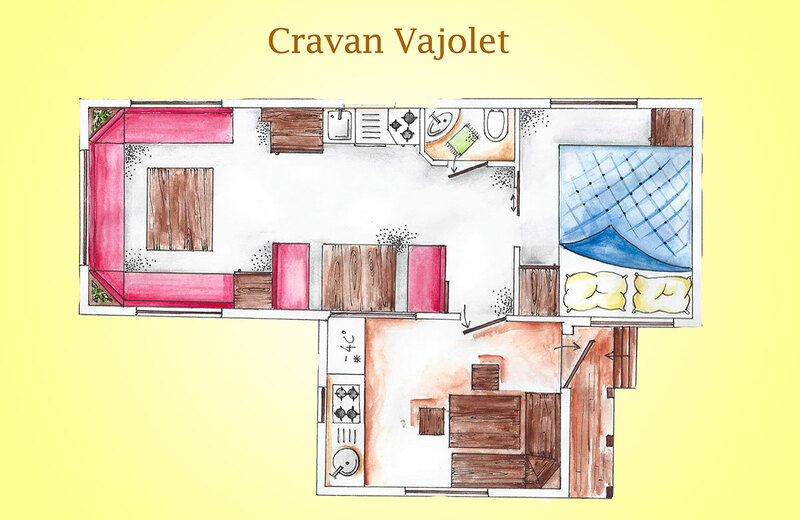 Some caravans have chemical toilets. 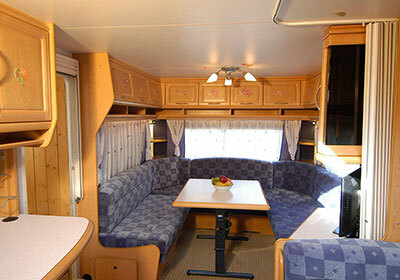 This is customised for guests with motor difficulties or for those who do not want to go out at night. 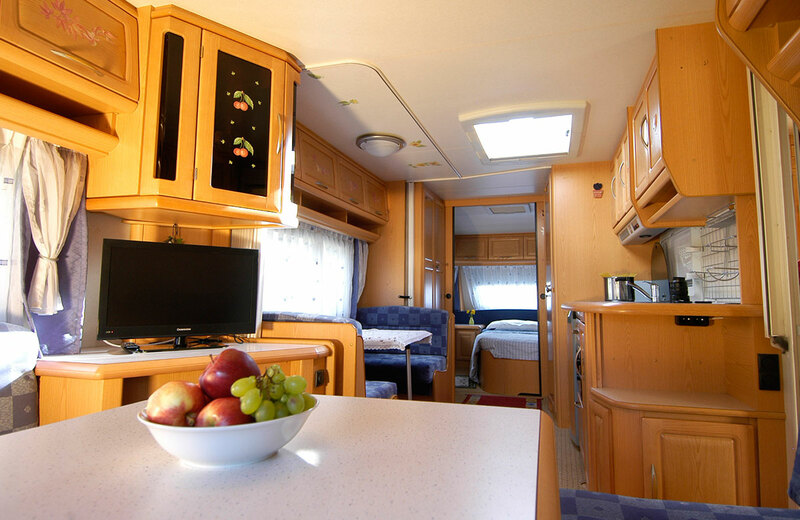 To book a caravan, you need to send a deposit: for a minimum stay of 7 nights during peak period and for a minimum stay of 4 nights when off-season. 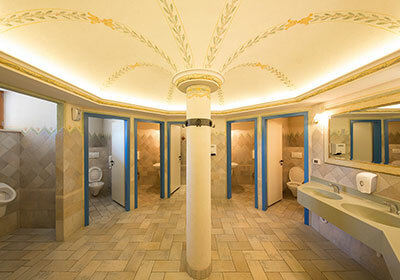 The camping park has public and private bathrooms. 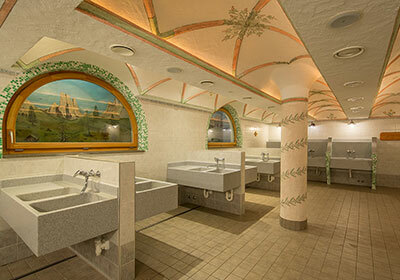 Public bathrooms are always very clean and tidy to guarantee a high standard of hygiene to our guests. 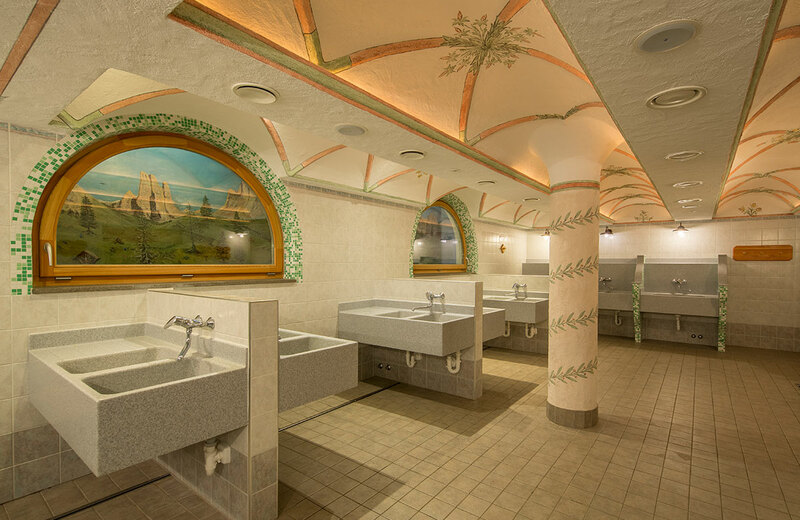 In all bathrooms are free hot water and hair-dryers. Besides, the camping park has a recently built private bathroom areas. 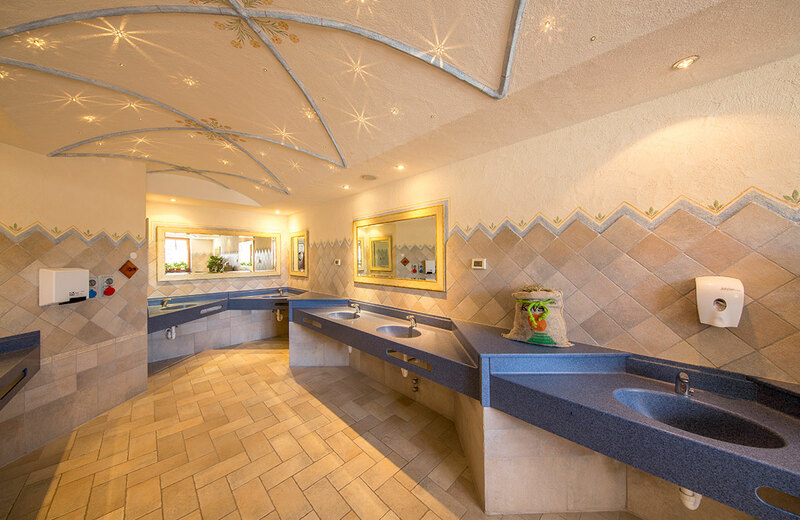 There, you can find: new comfortable bathrooms that are convenient for children, too. 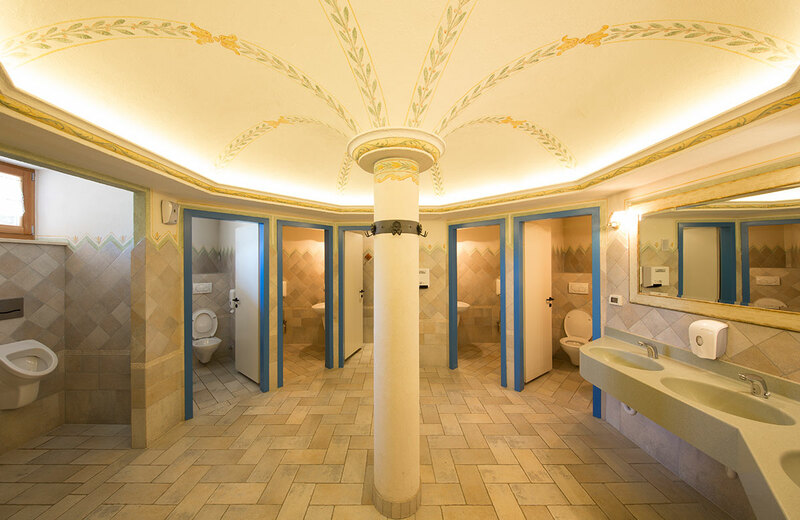 The bathroom area for children depicts the legends of the Dolomites. 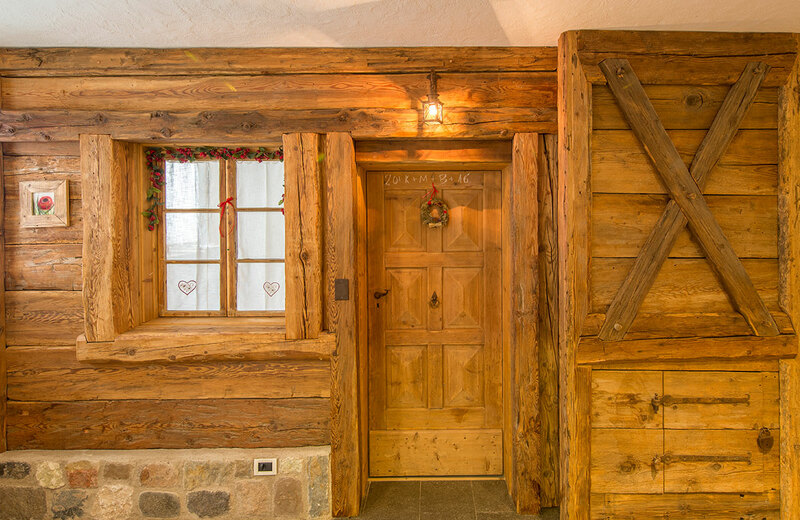 There are stories of dwarves and characters inhabiting the mountains. 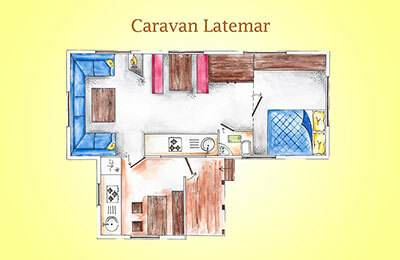 It is a space specially dedicated to our little guests. 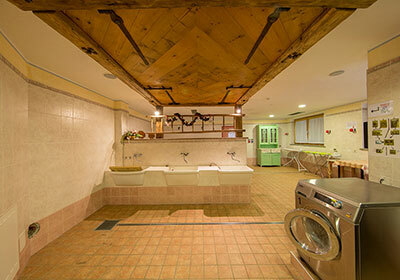 services and rooms for laundry, ironing and drying. 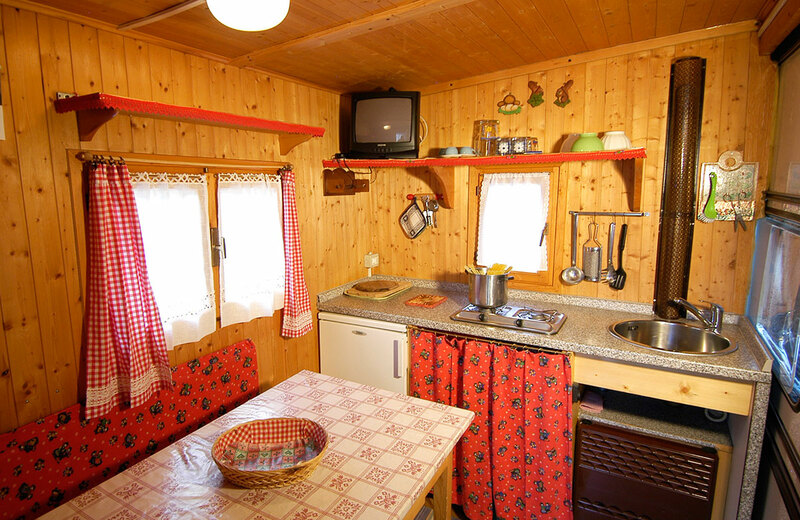 There are also freezers, fridges and, from 2017, dishwashers. 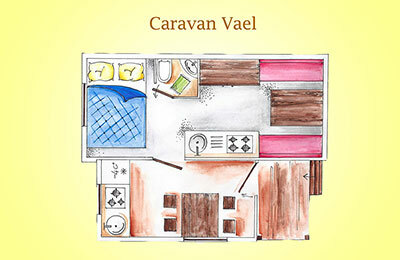 These rooms are an added value to the camping park. 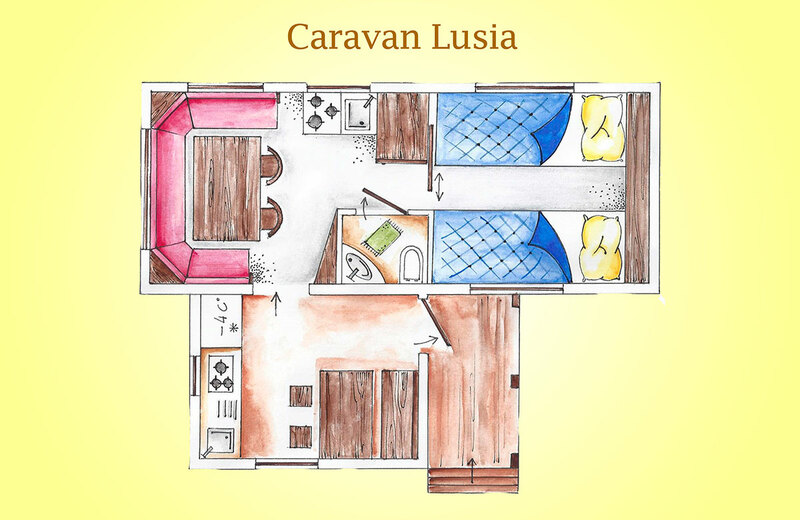 Our camping park is perfect for summer holidays in Val di Fassa. 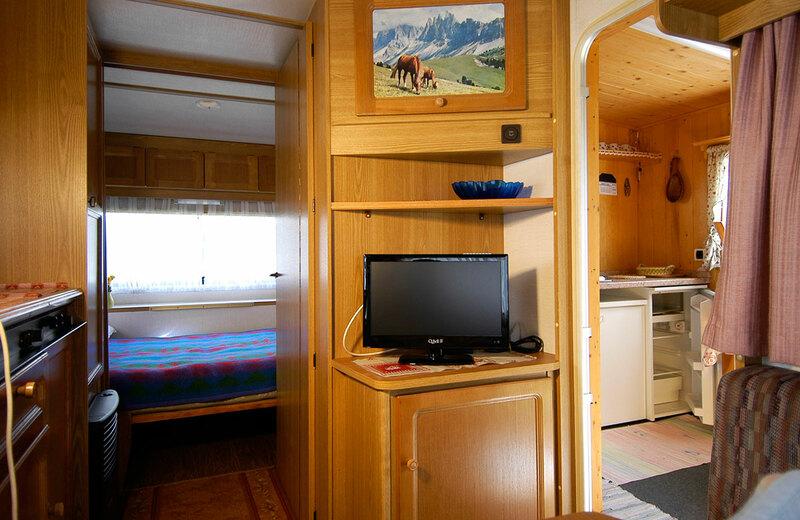 This is also a camping park for skiers. 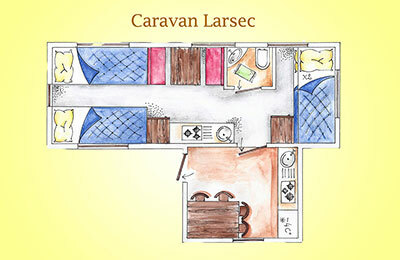 The camping park is the perfect starting point to do any kind of outdoor activities . 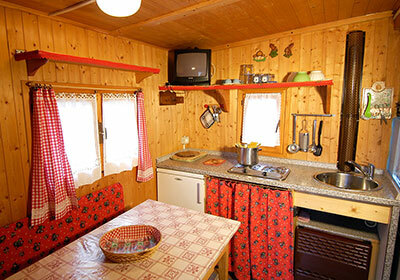 Camping Catinaccio Rosengarten is situated in a quiet and sunny position of Val di Fassa. Our offers Discover the offers for your dream vacation in Val di Fassa. 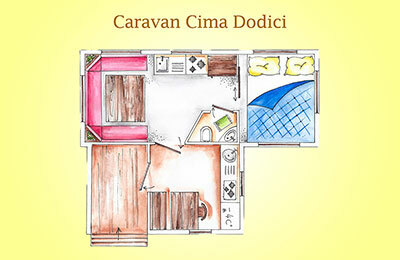 of Rizzi Mariano & C.